A drive along the Rodovia dos Imigrantes shows how much immigration has shaped modern Brazil. The winding expressway between Brazil’s Atlantic coast and the city of São Paulo follows the path taken by millions who arrived in the 19th and 20th centuries. Along the way, and in any bar in the country, Brazilians snack on kibe although few realize this croquette of bulgur and chopped meat arrived along with immigrants from the Middle East. Others read Japanese manga and practice “New Japanese religions,” illustrating the cultural influence of the world's largest Japanese diaspora population. Brazil’s migration history also encompasses hardship and despair: slavery, racist policies, immigration restrictions, and financial strains have often burdened the lives of newcomers and their descendants, while economic crises have led many to emigrate. From 1870 to 1930, between 2 million and 3 million immigrants settled in Brazil. While most came from Europe, significant numbers also arrived from the Middle East and Asia. In Portuguese America, where most colonial-era residents were African slaves and their children, immigrants joined a discussion about Blackness and Whiteness that continues to dominate popular and elite discourses today. In this sense, Brazil is like other countries in the Americas, including the United States. Yet in the Brazilian context, terms such as White, Black, European, Indian, and Asian are less fixed. As various groups flowed into and out of these ever-shifting categories, Brazilian national identity was often simultaneously rigid and flexible—with Whiteness consistently prized, though ambiguously defined. As of 2017, roughly 736,000 immigrants lived in Brazil, the third-largest foreign-born population in South America. Millions more are descended from immigrants, and though they were born in Brazil, commonly define themselves or are defined as Japanese, Portuguese, Arab, German, or Italian. Brazil is also an important destination for migrants from the Americas, including Bolivians, Venezuelan asylum seekers fleeing economic and political crisis, and Haitians migrating for economic and humanitarian reasons. Rapid shifts in arrivals from around the region—including many unauthorized migrants—have repeatedly tested the ability of Brazilian local, state, and federal leaders to adapt. Portuguese settlers arrived in the early 16th century, bringing colonization and slavery as they established a sugar-based plantation economy in northeast Brazil. Though colonists intended to use indigenous labor to produce sugar, these enslaved peoples quickly succumbed to European diseases or fled to the interior. Over the next four centuries, Brazil imported around 4 million African slaves and maintained slavery longer than any other country in the Americas, abolishing it only in 1888. By the late 1800s, global population growth and technological innovations had begun to encourage and facilitate mass migration. The dual processes of urban development and industrialization created a push in Europe, Asia, and the Middle East, where population increases were not being fully absorbed into the workforce, and a pull in the Americas, where economies were expanding. More than 2.6 million immigrants entered Brazil between 1890 and 1919. Portuguese, Spanish, Italian, and Japanese arrivals represented the largest numbers. Overall, immigrants from more than 60 countries came to Brazil before 1930. Brazil’s main competitor for immigrants was Argentina, where a booming agricultural export sector kept wages high and the cost of passage low. Yet Brazil’s geographic size (larger than the continental United States) and its expanding economy meant that Europeans, North and South Americans, Asians, and Middle Easterners increasingly jumped at the opportunity to settle there. Other factors facilitating migration to the Americas included medical and technological advances that reduced previously high death rates during transoceanic passages. High-tech steamships replaced wind-powered vessels, and the three-month trip from Europe to Brazil was cut to about two weeks by the early 20th century. Between 1872 and 1972, 57 percent of the roughly 5.4 million newcomers to Brazil would settle in just one city: São Paulo. With mass immigration also came discontent, uprisings, and flight among those unwilling to endure harsh treatment on plantations and in factories. Communities formed around national identities. Many immigrants actively reinforced the color line by treating Afro-Brazilians aggressively, and cases of White-on-Black violence fill police records. Newcomers also turned to political action in order to better their lives, joining unions, going on strikes, and sometimes taking their grievances to the streets. Formal and informal rules threatened all activist workers with job loss and imprisonment, and during the 19th and 20th centuries officials deported hundreds of labor leaders. Despite the repression, many immigrants remained committed to labor and social rights. Source: Maria Stella Ferreira Levy, "O Papel da Migração Internacional na Evolução da População Brasileira (1872 a 1972)," Revista de Saúde Pública, supplement, 8 (1974): 71-73. Brazil changed markedly between the Great Depression and the end of World War II. The coffee economy declined, and fazendas were abandoned, divided, or sold to large corporations that began to harvest new export commodities including soy. The industrial economy expanded, and by the end of the 20th century, Brazil was producing goods ranging from automobiles to airplanes. Immigration policies and patterns shifted alongside changes in the economy. The Constitution of 1934 created immigration quotas by country, modeled after the restrictive, race-based U.S. National Origins Acts of 1924. From 1942 to 1945, during the height of World War II, Brazilian authorities closed most ports to passenger traffic and transoceanic travel became increasingly dangerous. Immigrant entries to Brazil fell below 2,000 per year. In 1945, a bloodless coup ended the dictatorship of President Getúlio Vargas. While the new and somewhat more democratic government did not change immigration policy, it did modify its position on global refugee issues. Brazil became a signatory to the 1951 Convention Relating to the Status of Refugees and a Member State of the United Nations High Commissioner for Refugees (UNHCR). In 1954, Brazil received some 40,000 Europeans seeking refuge. Immigration flows to Brazil resumed during the 1950s as Brazil lifted visa requirements for Portuguese citizens, including those born in Angola and Mozambique. Italian entries jumped in 1952, but many eventually returned to Europe, unable to find jobs in Brazil. Around the same time, a new influx of Japanese immigrants entered, due to displacement caused by the U.S. military occupation of Okinawa. Between 1953 and 1963, nearly 55,000 Okinawans settled in Brazil, coming on the heels of the 200,000 Japanese who had immigrated before the war. Sources: Brazilian Institute of Geography and Statistics (IBGE), Brasil: 500 Anos de Povoamento (Rio de Janeiro: IBGE, 2000), available online. New groups of immigrants began to arrive in Brazil in the latter part of the 20th century. Between 1975 and 1990, some 200,000 Koreans entered Paraguay and Bolivia (where immigrant visas were available to those with relatively small amounts of money), and as many as half then moved on to Brazil. More than 10,000 Koreans live in Brazil today, although the Korean-descent population is much larger. The size and technological sophistication of the economy have led many Koreans and their Brazilian-born children to see Brazil as a country of social mobility. The broader population has developed a taste for new products, especially inexpensive technology and clothing, produced in factories and sold in stores owned by Korean immigrants. Unlike other recent immigrant groups, Korean newcomers often unify around Protestantism, using religion as an organizing tool for health and elder care as well as worship. In the 1980s, Chinese immigration expanded along with Brazil–China commercial relations. Chinese migrants, like Koreans, often enter via Paraguay and frequently move back and forth between these two countries. In 2012, some 150,000 Chinese individuals and their descendants lived in Brazil, the vast majority in São Paulo, according to the Consulate General of China in Rio de Janeiro. Some work as low-end clothing producers, retailers, or both. Others make a living in the retail and wholesale of inexpensive imported products such as toys, writing utensils, watches, and electronics. Brazil’s frequent immigrant regularization programs have allowed many unauthorized Chinese to obtain legal status. After World War II, Brazil also received many Muslim, Christian, and Jewish immigrants from the Middle East. Following the Suez Crisis and the rise of Arab nationalism in the 1950s, nearly 5,000 Jews from Egypt and other Middle Eastern countries moved to Brazil, joining about 100,000 Jewish Brazilians, about 80 percent of whom were of European descent. Brazil’s Palestinian population also grew although the numbers are imprecise (some scholars put the population today at around 50,000), with transit between triborder countries and large numbers of entries via tourist visas. Many newcomers arrived in Brazil from other Latin American countries, notably those in the Southern Cone. The mid-20th century regional context—marked by coup d’états and authoritarian regimes in Argentina, Uruguay, and Chile—influenced shifts in refugee policies. Whereas Brazil had previously endorsed refugee protections, the 1964-85 military dictatorship restricted entry for many. Authoritarian leaders feared that political dissidents, seeking asylum from other military-led countries, would enter Brazil cloaked as refugees and incite resistance to the regime. Government authorities, therefore, used national security concerns to justify hardline refugee policies. The return to democracy in 1985 brought several immigration policy shifts. In 1991, Argentina, Brazil, Paraguay, and Uruguay established the Southern Common Market (commonly known as Mercosur or Mercosul) with Bolivia, Chile, Colombia, Ecuador, Peru, and Venezuela later becoming associate members. In 2004, Mercosur/Mercosul countries began to relax migration policies for nationals of other Member States, though entry rules for other South American immigrants varied. Decreased restrictions have led to increased movement of people and products between Argentina, Bolivia, Brazil, and Uruguay. Tens of thousands of Bolivians began migrating into and out of Brazil, taking advantage of visa-free entry. Many settled in São Paulo, and between 2000 and 2010, the number of registered Bolivians in that city increased from about 6,600 to nearly 18,000, though the Bolivian Consulate suggested the number might have surpassed 100,000 when accounting for unregistered migrants. In 2015, approximately 121,000 Bolivians lived in the country with formal documentation, according to the Ministry of Justice; however, the Brazilian Embassy in La Paz estimated that more than 1 million Bolivians in total lived in Brazil. Note: Country of origin totals are based on official statistics of the foreign born or the foreign population. 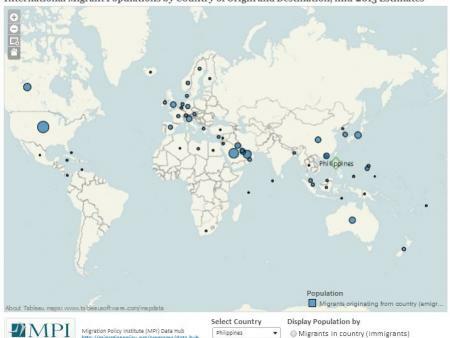 Source: United Nations Department of Economic and Social Affairs (UN DESA), Population Division, “Trends in International Migrant Stock: The 2017 Revision,” accessed January 17, 2018, available online; Iara Rolnik Xavier, “Projeto Migratório e Espaço: os Migrantes Bolivianos na Região Metropolitana de São Paulo” (Masters thesis, Departamento de Demografia do Instituto de Filosofia e Ciências Humanas, State University of Campinas, 2010). The Brazilian government implemented legalization programs for unregistered immigrants in 1980, 1988, 1998, and 2009. The last three rounds granted status to more than 100,000 foreign residents in total, including more than 40,000 from Bolivia and nearly 25,000 from China. Significant numbers of Lebanese, South Korean, and Peruvian immigrants also gained status. A severe economic crisis in the 1980s turned Brazil from a country of immigration into one of emigration as well. Today, large Brazilian populations reside (in order of numbers) in the United States, Paraguay, Japan, the United Kingdom, Portugal, Spain, Germany, Italy, and France. On average, about 100,000 Brazilians have left the country per year since 2000, with about half of the total from the southeastern states of Minas Gerais, Paraná, São Paulo, and Goiás. In 2014, more than 3.1 million Brazilians lived outside the country, according to the Ministry of Foreign Relations. Brazilians living abroad sent about US $2.7 billion in remittances to Brazil in 2017, according to World Bank data. In 2016, nearly 410,000 Brazilians lived in the United States, representing about 1 percent of the 43.7 million immigrants in the country. Approximately one-quarter were without authorization (usually overstaying tourist visas), according to Migration Policy Institute estimates. Brazilians are unusual compared to other Latin American immigrants in the United States due to their much higher levels of educational attainment. A large number of immigrants from Minas Gerais now reside in the Greater Boston area, including many from the area of Governador Valadares where several New England companies had semiprecious stone operations in the 1950s. Meanwhile, Atlanta is home to many Brazilians from the state of Goiás, who often settle with the help of church networks. Paraguay is the second largest destination for Brazil’s emigrants, with between 300,000 and 450,000 Brazilians and their descendants comprising around 8 percent of the total population. Called brasiguaios (brasiguayo in Spanish), most migrated from areas in southern Brazil with heavy German, Italian, and Polish settlement in the 19th century. They moved in the 1960s and 1970s, when Paraguay's dictator offered to sell land inexpensively to farmers. Today many brasiguayos own significant amounts of land and hold prominent economic positions in the country. Japan, where the dekasegui (“working away from home”) phenomenon began in 1990, is another popular destination for Brazilian emigrants. This migration was pushed by late 1980s Brazilian economic stagnation and pulled by a 1990 amendment to Japan’s Immigration Control and Refugee Recognition Law that allowed Japanese descendants up to the third generation and their spouses to obtain work visas. Emigrants were often members of Brazil’s middle class but in Japan worked in automotive and electronic factories that experienced a shortage of native workers as young people moved to larger urban settings. In 2008, approximately 320,000 Brazilians of Japanese descent lived and worked in Japan. As Brazil’s economy grew stronger in the 2000s, and as Japan’s economy weakened, these migratory trends shifted. Between 2007 and 2011, roughly 107,000 migrants returned to Brazil, about one-third of the Brazilian population in Japan. Even so, about 170,000 Brazilians continue to live and work in Japan. Many Brazilians have migrated to Europe, with the patterns often following European Common Market admission. For example, migration to Portugal spiked following its entry in 1986. Many European countries permit the children or grandchildren of past emigrants to obtain passports, making it relatively easy for Brazilian descendants of European immigrants to enter, reside, and work in such countries and the European Union by extension. Approaching the third decade of the 21st century, Brazil continues to be a center of global migration. In 2017, nearly 736,000 registered immigrants lived in Brazil, while many hundreds of thousands more were in the country without formal documentation. Portuguese are the largest immigrant population, followed far behind by those from Japan, Italy, Paraguay, and Bolivia (see Table 2). In recent years, Koreans, Angolans, Paraguayans, and Nigerians have been entering in growing numbers. Over the past decade, humanitarian migration has returned as an important issue in Brazil, just as it had been during the World War II era. Following the 2010 earthquake in Haiti, Brazil granted humanitarian visas and permanent residency to roughly 98,000 Haitians, though some 30,000 have reportedly since relocated due in part to Brazil’s economic recession. In December 2014, 28 Latin American countries and three territories adopted the Brazil Declaration and Plan of Action to maintain high standards of protection and create innovative solutions, such as new visa categories, for refugees and displaced persons. These policies were designed to accommodate the growth of those in need of protection, which in Brazil nearly doubled between 2015 and 2016, from roughly 36,000 to 68,000. In 2016, Brazil received more than 10,000 new asylum claims, nearly 7,000 of which were from Venezuelans followed by smaller numbers of Cubans, Angolans, Haitians, and Syrians. Despite its welcoming attitude toward humanitarian migrants overall, Brazil has taken in few refugees (less than 1,000 between 2001 and 2016) through its resettlement program, which relies on funding from UNHCR. At the 2016 UN Leaders’ Summit on Refugees, Brazil committed to receive 1,500 people affected by the Syrian crisis by combining humanitarian visas with private sponsorships. The Brazilian government also agreed to establish a state-funded resettlement program for 3,000 Syrians and displaced Central Americans by the end of 2018. The political and economic crisis in neighboring Venezuela—marked by hyperinflation, goods shortages, hunger, and violence—has driven growing numbers to seek asylum in Brazil. Since 2014, Venezuelans have lodged more than 20,000 asylum applications, the vast majority submitted in 2017. By June 2017, more than 8,000 Venezuelans had claimed asylum that year, while 5,000 others were waiting for an appointment. Since Brazil’s national asylum program has not been updated since 1997, when it received 500 applications per year, officials have struggled to process these requests. 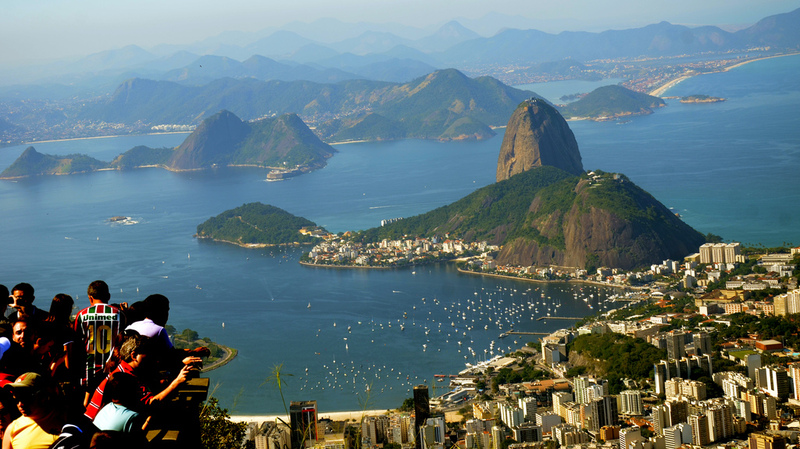 In March 2017, Brazil’s National Immigration Council created a two-year residence permit for those did not qualify for asylum. More than 1,800 permits have been issued, allowing individuals to access health care and other public services—though the US $100 cost of the permit is prohibitive for many. Overall asylum claims in Brazil will keep rising in 2018 if the situation in Venezuela continues to deteriorate. UNHCR has increased its presence at the border and has collaborated with the Brazilian government to develop an emergency plan for the many asylum seekers with serious health concerns, including dehydration, malnutrition, and malaria. In Boa Vista, a Brazilian city near the borders with Venezuela and Guyana, the arrival of 40,000 refugees has strained municipal services. With UNHCR assistance, authorities established three shelters; these quickly filled in 2017, leaving later arrivals to seek accommodation elsewhere, including in makeshift campgrounds. In response to the arrivals, many business owners initially welcomed the growing market for rice and sugar. Some workers, however, claim that they are unable to compete with the low wages paid to Venezuelans, leading politicians to worry that they might lose elections as a result of an anti-immigrant backlash. In early February 2018, President Michel Temer doubled the number of soldiers at the Venezuelan border, to 200, indicating a shift toward treating this refugee inflow as a national security issue. Between 2010 and 2014, Brazil’s economic growth drew large numbers of migrants to the country. Yet recent economic stagnation has slowed this trend: Just 94,000 foreigners arrived in 2016, down from 122,000 in 2014, a 23 percent decrease. Furthermore, political and cultural issues have challenged Brazil’s reputation as a global leader on immigration. In May 2017, following a year of political turmoil, the National Congress unanimously approved a new migration law designed to replace the 1980 Statute of the Foreigner, which treated immigrants as threats to national security. The 2017 legislation established rules against discrimination and xenophobia, and gave immigrants the right to unionize and participate in political demonstrations. Pressure from conservative politicians, security forces, and extreme right-wing activists led Temer to veto various components of the law, including a provision offering resident status to all foreigners who arrived before July 2016, regardless of arrival conditions. Temer also vetoed the provision that would have exempted naturalized Brazilians from the military service technically required of all male citizens, if they had previously served in another country. The legislation, in its final version, shifted the focus from migrant rights back to dictatorship-era national security concerns. As a result of the legislation, and the stagnating economy, foreigners may evaluate migration to Brazil differently than in the past. Today, as in the past, immigration is not just about wages or short-term safety. Ethnicity, how individuals imagine their new lives, and the connection between personal identity and national citizenship are at play when people decide to migrate. The size of the Afro-Brazilian population and the many descendants of immigrants from Europe, Asia, and the Middle East continue to challenge Brazil’s citizens to negotiate the roles of race and immigration in nation-building projects. Tensions are on the rise as more refugees arrive in a country that promotes a supposed lack of racism. Meanwhile, a recent analysis of 11,000 Brazilian newspapers and magazines from 1808 to 2015 showed that refugees have throughout history been predominantly portrayed negatively and as a national problem. Given long-term trends, it comes as little surprise that refugees from Haiti and recent immigrants from Africa have been the victims of xenophobic and occasionally physically violent attacks in multiple cities. This suggests that some immigrant and refugee groups–Venezuelans, Cubans, Angolans, Haitians, and Syrians, for instance–may find acculturation as much a challenge as others did historically. Even so, Brazil’s reputation (at least until recently) as a leader in the Americas on immigrant protections and economic mobility may create an atmosphere in which immigration fosters an identity of multiculturalism and nondiscrimination. Barreto de Campos, Gustavo. 2015. Dois Séculos de Imigração no Brasil: A Construção da Imagem e Papel Social dos Estrangeiros pela Imprensa entre 1808 e 2015. PhD thesis, Universidade Federal do Rio de Janeiro, Escola de Comunicação, Rio de Janeiro, 2015. Available online. Brazil Foreign Ministry. N.d. Portal Consular: Brasileiros No Mundo. Accessed December 18, 2017. Available online. Brazilian Institute of Geography and Statistics (IBGE). 2000. Brasil: 500 Anos de Povoamento. Rio de Janeiro: IBGE. Available online. Buechler, Simone. 2004. Sweating It in the Brazilian Garment Industry: Korean and Bolivian Immigrants and Global Economic Forces in São Paulo. Latin American Perspectives 31 (3): 99-119. Channel NewsAsia. 2015. Koreans in Brazil Find Integration a Tough Process. Channel NewsAsia, May 20, 2015. Available online. Ferreira Levy, Maria Stella. 1974. O Papel da Migração Internacional na Evolução da População Brasileira (1872 a 1972). Revista de Saúde Pública, supplement, 8: 71-73. FitzGerald, David and David Cook-Martin. 2014. Culling the Masses: The Democratic Origins of Racist Immigration Policy in the Americas. Cambridge, MA: Harvard University Press. G1. 2017. Entrada de Imigrantes no Brasil Caiu 23% em Dois Anos; 'Efeito da Crise Política e Econômica', Diz Estudo. G1, December 13, 2017. Available online. Jardim, Denise Fagundes. 2006. Os Imigrantes Palestinos na América Latina. Estudos Avançados 20 (57): 171-81. Lesser, Jeffrey. 2013. Immigration, Ethnicity, and National Identity in Brazil, 1808 to the Present. Cambridge, UK: Cambridge University Press. Lopez, Mariana, and Nick Miroff. 2017. Hungry Venezuelans Flood Brazilian Towns, As Threat of Mass Migration Looms. Washington Post, January 1, 2017. Available online. Lorentz, Anna. 2013. Growing Chinese Presence in Rio de Janeiro, Brazil since 2009. Columbia East Asia Review 6: 45-66. Margolis, Maxine L. 2009. An Invisible Minority: Brazilians in New York City. Gainesville, FL: University Press of Florida. Moreira, Julia Bertino. 2008. Políticas para Refugiados nos Contextos Internacional e Brasileiro do Pós-guerra aos Dias Atuais. Presented at the XVI Encontro Nacional de Estudos Populacionais, September 29, 2008. Available online. Muggah, Robert. 2018. Venezuelan Refugees Inflame Brazil's Already Simmering Migrant Crisis. The Conversation, February 12, 2018. Available online. Nogueira, Maria Beatriz, and Maiara Folly. 2017. Brazil's Refugee Policy Needs a Radical Overhaul in Response to Venezuela's Crisis. The Guardian, June 15, 2017. Available online. Pereira, Elvis. 2013. Bolivianos Se Tornam a Segunda Maior Colônia De Estrangeiros Em SP. Folha De S.Paulo, June 16, 2013. Available online. Puff, Jefferson. 2015. Racismo Contra Imigrantes No Brasil é Constante, Diz Pesquisador. BBC Brasil, August 15, 2015. Available online. Reuters. 2018. Brazil to Deploy More Troops on Venezuela Border Amid Refugee Crisis. Reuters, February 8, 2018. Available online. Rolnik Xavier, Iara. 2010. Projeto Migratório e Espaço: os Migrantes Bolivianos na Região Metropolitana de São Paulo. Masters thesis, Departamento de Demografia do Instituto de Filosofia e Ciências Humanas, State University of Campinas. Schreiber, Mariana. 2015. "A Vida no Brasil Não é Normal, é Só Trabalho,” Conta Boliviana Que Foi Escravizada em SP. BBC Brasil, January 29, 2015. Available online. Sousa, Viviane. 2017. Pedidos de Refúgio de Venezuelanos neste Ano no Brasil Mais do que Dobraram em Relação a 2016. Globonews, May 4, 2017. Available online. Tobace, Ewerthon. 2015. The Brazilians Winning in Japan. BBC News, July 17, 2015. Available online. United Nations Department of Economic and Social Affairs, Population Division. 2017. Trends in International Migrant Stock: The 2017 revision (United Nations database, POP/DB/MIG/Stock/Rev.2017). Available online. United Nations High Commissioner for Refugees (UNHCR). N.d. Brazil Declaration and Plan of Action. Accessed December 18, 2017. Available online. ---. N.d. Global Focus: UNHCR Operations Worldwide, Brazil. Accessed January 11, 2018. Available online. ---. N.d. Dados Sobre Refúgio No Brasil. Accessed December 18, 2017. Available online. ---. 2017. Venezuela Situation. UNHCR, November 2017. Available online. Uribe, Gustavo and Bruno Boghossian. 2017. Apesar De Vetos De Temer, Essência Da Lei De Migração é Mantida. Folha De S.Paulo, May 24, 2017. Available online. Xavier, Iara Rolnik. 2010. Projeto Migratório e Espaço: os Migrantes Bolivianos na Região Metropolitana de São Paulo. Masters thesis, Departamento de Demografia do Instituto de Filosofia e Ciências Humanas, State University of Campinas, 2010. Zong, Jie and Jeanne Batalova. 2016. Brazilian Immigrants in the United States. Migration Information Source, July 13, 2016. Available online. Shari Wejsa is a PhD student in Latin American history at Emory University who studies immigrants and refugees to Brazil from former Portuguese colonies in Africa. Jeffrey Lesser is the Samuel Candler Dobbs Professor of Brazilian studies and Director of the Claus M. Halle Institute for Global Research and Learning at Emory University. His most recent book is Immigration, Ethnicity and National Identity in Brazil, published in a revised Brazilian edition as A Invenção da Brasilidade: Identidade nacional, etnicidade e políticas de imigração.